After the hottest ever London Marathon the week before, it was a decidedly chilly late April morning which greeted runners arriving for the 5th Treehouse 10k, 5k and Bunny Run event. Things soon started to warm up as the Cholsey rec filled up with our largest field yet, close to 400 10k and 5k runners and over 160 bunny runners plus their parents. 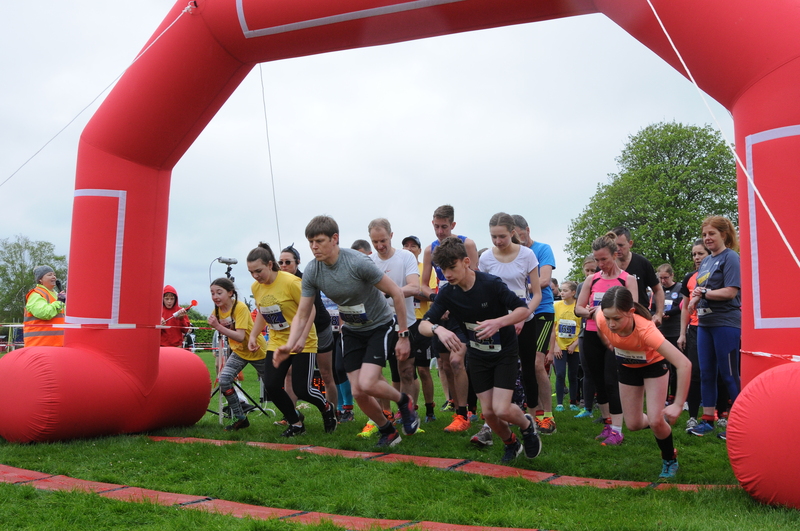 It was particularly good to see the growth of the 5k, only in its second year, offering a great chance for new runners, 11-15 year olds and just anyone who prefers the shorter distance to compete. 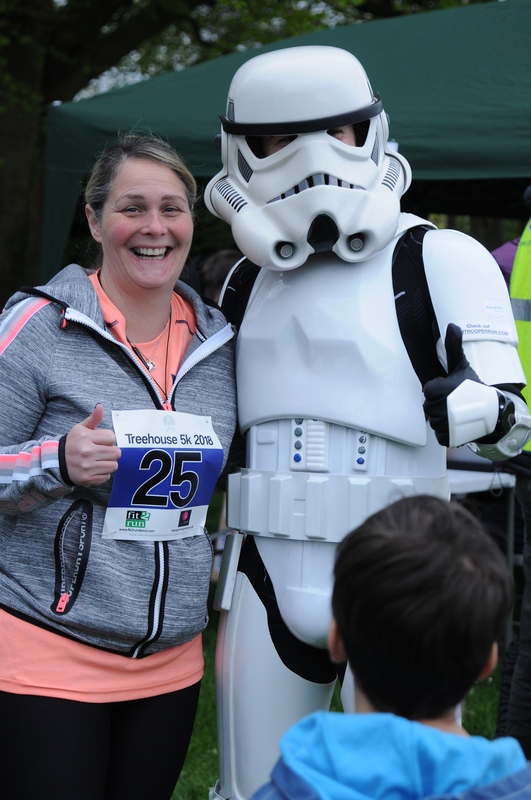 The bunny runners showed great enthusiasm, spurred on this year by a genuine Stormtrooper! As ever we want to carry on learning and make next year’s event even better – please use the contact page to let us know. Full results are available here, where you can also download a personalised certificate of your run. We don’t time the children’s bunny run, but the determination shown by the runners young and old was fantastic. Well done to all. 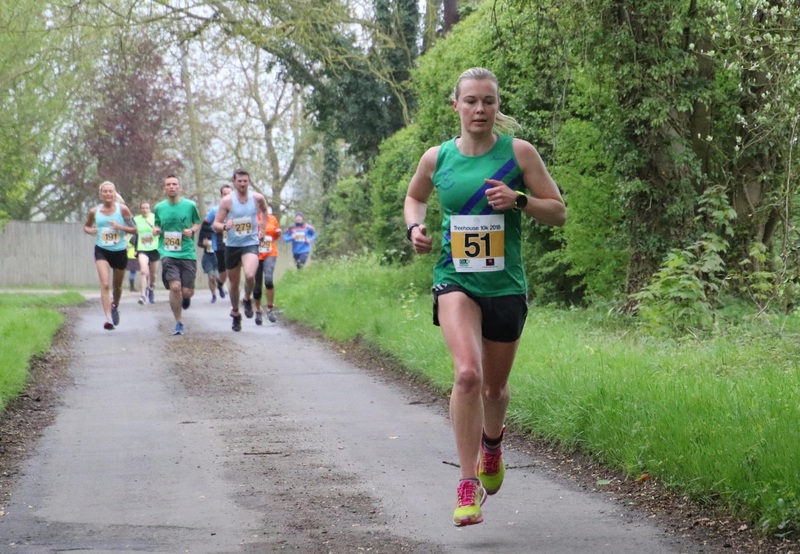 Barry Cornelius of Oxonraces.com kindly took photographs of the 10k at 1.6k and 9k. There are some really great photos, well done for smiling! The photos are free to view and download here – if you use any photos somewhere public (e.g. facebook or a club website), please credit as “photo by Barry Cornelius”. Thank’s Barry. Women’s 10k winner Jane Copland on Caps Lane. Photo by Barry Cornelius. A big thanks to all of the treehouse 5k and 10k organisers and volunteers. We need a lot of people to help both in advance and on the day to run an enjoyable and safe race. If you would like to volunteer to help next year please get in touch. Thanks also to Stormtrooper Jez Allinson, Steve Holder sports massage, Kim and Vanessa from Rogue Racer for their excellent timing service, and all of our sponsors who enabled us to cover large costs such as t-shirts and bibs. Finally thanks to all of the runners. If you created an account on our website we’ll let you know once the date of the 2019 race is announced, otherwise please follow us on Facebook. The Treehouse Trust, Registered Charity No: 1143650 Copyright © 2014-2017. All Rights Reserved.